VESPERIENCE ... Please Join Us .. All Scooterists Welcome! - Rally will start promptly at 11:00 a.m.
Join us for a fun event .. 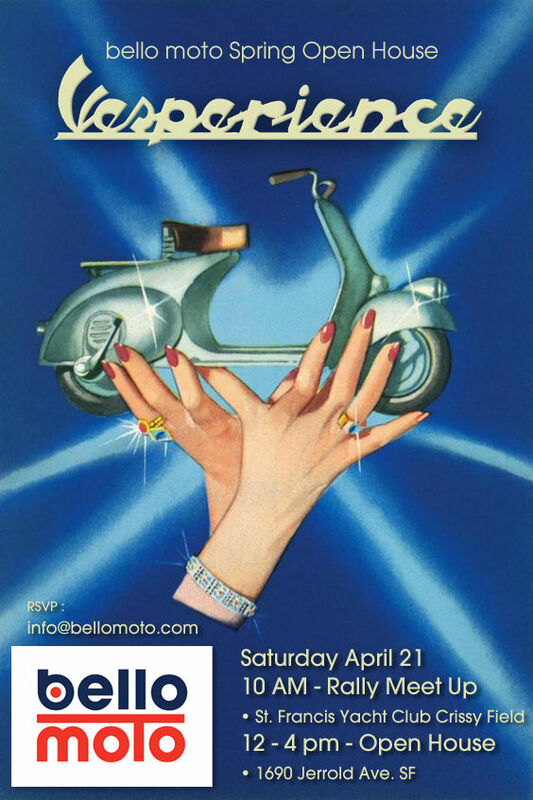 Celebrate spring with Bello Moto.